The older I get, the more nostalgic I become for the musical heritage of the past half century. I’m far from being a 1980s throwback, and neither am I a heritage music fan. I love exploring new music and discovering new things. But always against a context of going back and remembering how I felt in the 1970s and 1980s as a young explorer, at a time when music was less accessible instantly. A lot came from swapping albums with your mates, but many of the discoveries were on TV and Radio. Youtube is great for re-experiencing this sort of thing, obviously, and provides access to masses of dodgy VHS transfers. It’s always delightful when something new turns up. But the real treasures are locked away beyond our grasp in the archives, and this is something I resent increasingly as time goes on. It’s maybe understandable for commercial TV archives, but in the case of the BBC in particular we paid for this stuff to be made, and we’re not allowed even to know what they hold, beyond a bit of information in a catalogue of clips for licencing that was available online if you knew where to look but which is now owned by Getty Images and difficult to interrogate. 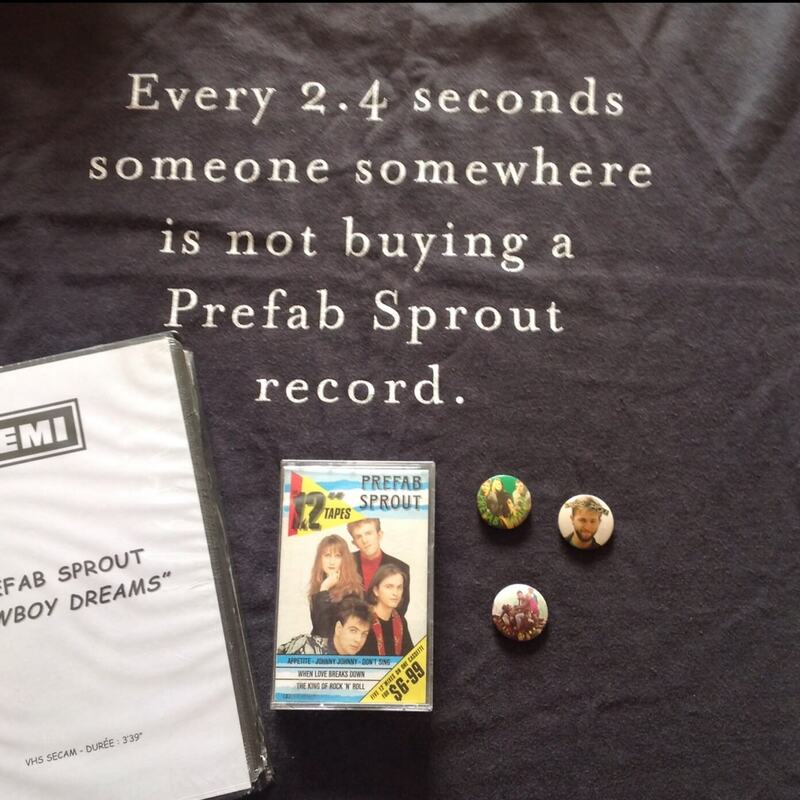 It’s not just Prefab Sprout either. Masses of material is locked away. Some of it can’t even be shown ever for fear that Jimmy Savile’s face is glimpsed, heaven forfend. Now it’s not quite as simple as the BBC prohibiting access, because there are complex questions of copyright and financing. I know having spoken to them that many of the archivists would love a public access scheme, but for those of us who are aging, there is the question of whether any of it will manage to make its way out in our lifetimes. France, with the INA archive, have managed this after all, so it’s not as if it’s impossible. I would love to see Prefab Sprout on the Roland Rat show, or their first appearance on Look North in 1984. I’d pay money for it gladly. But unless I have a personal connection to the show there is no way it’s coming out, and even if I do it’s expensive. 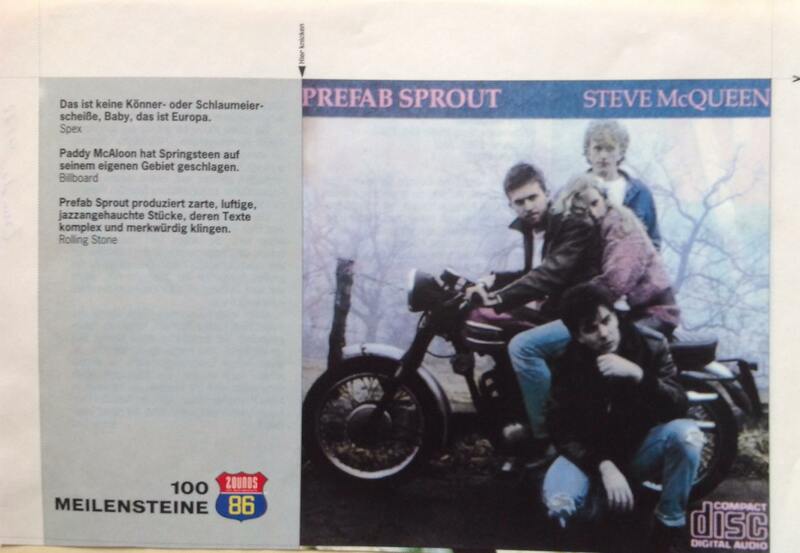 Incidentally should anyone read this who has some sort of connection (not just about being in an audience, you have to be featured or in the production crew) with a BBC Prefab Sprout appearance, get in touch, please. Anyway, just to underline the wealth of what is available but prohibited, here’s a 20 second fair use clip of something totally wonderful. The BBC Bristol RPM programme included an enormous amount of musical content: local Bristol bands generally, lots of XTC, and much else besides. And because they could run more or less autonomously they sent crews to film concerts everywhere. One of these was the May 1984 concert at the Manchester Hacienda by Prefab Sprout, for which 3 songs were broadcast: “Don’t Sing”, “Walk On” and “Couldn’t Bear to be Special”. Here is some of the latter, which included Virginia Astley on keyboards, and the young and cocky Paddy owning the stage. Enjoy, and get angry. Because I can’t post or link or otherwise give you access to the remainder of this. Now Paddy and Roland Rat is something I would pay money yto see. Anyone with a personal connection to the rat please step forward! The guy behind Roland Rat was a proper music fan. So it was that to the presumed confusion of the Rat demographic, Pere Ubu did at least one performance on the show. I think the name of the brains behind Roland Rat was a guy called David Claridge? The Stranglers also appeared on “Roland Rat: The Series” (broadcast from BBCtv Theatre i think, home of Crackerjack, Wogan, That’s Life, Jim’ll Fix It etc) and apparently were rather humpy about it being a kids show, i like to think Paddy and co were just grateful for TV exposure! On another BBC and Sprout related tangent, the Jordan set they did for “The Late Show” would have been one of the very last broadcasts made from the historic but shambling BBC Lime Grove studios, it closed in summer 1991 and was demolished two years later although “The Late Show” continued for a few more years. In the background of the Jordan set, there is no studio cyclorama curtain, which shows off the kapok and chickenwire soundproofing from when the studios belonged to Gainsborough Films, there is also great footage of this little detail in that clip of The Stone Roses throwing a wobbly when they overload Lime Grove’s sound system. I heard they liked these slots just because all they had to do was turn up and mime. The Roland Rat is a little bit of a holy grail for me, I’d just love to turn that up somewhere.